The EuroMillions raffles make this lottery even more exciting because they offer players a chance to win some staggering prizes without matching any of the winning EuroMillions numbers. How is that possible? It’s very simple. 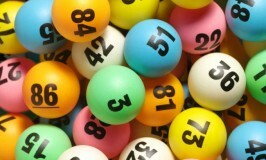 To win the raffle prizes, players must have the correct raffle codes, which do not include the numbers for the lottery. But let us tell you more about the amazing EuroMillions raffles and the amazing prizes they offer! What are the EuroMillions raffles? How many EuroMillions countries have raffles? Six of the nine EuroMillions countries have raffles. When you play the UK, Spain, Austria, France, Ireland, and Switzerland EuroMillions, you are also entered in the local raffle. Do all the EuroMillions raffles have the same prizes? No, each EuroMillions raffle has different prizes and rules. While the lottery game is the same in all the 9 EuroMillions countries, the raffles are specific. When you play EuroMillions online, you can choose which version of the game you want to play and which raffle you want to enter. How do I play EuroMillions raffles? Every time you play the EuroMillions lottery in the countries that host raffles, you are automatically entered in the raffle as well. So, all you have to do is buy a EuroMillions ticket. Typically, the EuroMillions ticket features a unique raffle code, which is assigned at random when the ticket is printed. The unique code is the entry for the EuroMillions raffle. The exception is the Swiss raffle, which uses the main EuroMillions numbers as the entry. How do I win EuroMillions raffles? To win the EuroMillions raffles, you must have the winning raffle code on your ticket. As mentioned above, these are unique, which means that you will be the sole winner of the raffle prizes. What are the odds of winning a EuroMillions raffle? The chances of winning the EuroMillions raffles vary from one draw to the other because they are set according to ticket sales. The number of raffle codes entered in the game is the total number of EuroMillions tickets sold in that country. Each ticket gives you one chance to win the raffle prizes. Do I have to match the winning EuroMillions numbers to win the raffle? No, you do not have to guess any of the EuroMillions lottery numbers. Your entry in the EuroMillions raffle is the unique code printed on the ticket, not the numbers you choose for the lottery. To win the raffle prizes, you only need to have the drawn raffle code and not the lottery numbers. Can I win both the EuroMillions lottery and the EuroMillions raffle? Yes, you can. If your EuroMillions ticket has the winning numbers for one of the lottery prizes, as well as the winning raffle code, you are entitled to both prizes. Can I enter a EuroMillions raffle without playing the lottery? No, you can’t. Your entry for the EuroMillions raffle is the raffle code printed on the ticket. As such, you must have a EuroMillions lottery ticket to enter the raffle. If you want to play a EuroMillions raffle, you have to buy a ticket in the country organizing the raffle you want to enter. When you play EuroMillions online, you have access to several versions of the game and, as such, to several raffles. How is this possible? When you buy your EuroMillions tickets with theLotter, the world-leading lottery messenger service, the purchase is made online, but the physical tickets are bought from authorized lottery retailers in the EuroMillions countries. Depending on the country where the tickets are purchased, they are eligible for a EuroMillions raffle. There are seven EuroMillions raffles you can play when you enter this European lottery. Each of them offers very tempting prizes that you can win without matching any of the main numbers and Lucky Stars. Introduced back in 2009 as the Millionaire Raffle, this is one of the oldest raffles in the EuroMillions. It offers a £1 million prize each draw to the holder of the winning code. As of 2014, its name was changed to Millionaire Maker and some non-cash prize were also added to the raffle prize list. These usually consist of luxury vacations for the winners. The raffle entry code for the Millionaire Maker is made up of 3 letters and 6 numbers. The French version of the EuroMillions hosts the My Million raffle as of February 4th, 2014. It offers players a €1 million prize on each EuroMillions draw. The entry codes for the My Million raffle feature 2 letters and 7 numbers. The El Millón raffle is one of the newer raffles in the EuroMillions. It was introduced in September 2016 and now it offers players one prize of €1 million every Tuesday and Friday. After the EuroMillions numbers are drawn, the El Millón raffle code is selected. This is made of 3 letter and 5 numbers. The Österreich Bonus Raffle is the newest raffle in the EuroMillions. It was introduced on July 13th, 2018 and it offers players a €100,000 prize each draw. The entry codes for this raffle are made of 10 numbers. The Switzerland Super Star was introduced in November 2010 and it offers Swiss EuroMillions players the chance to win as many as 11 raffle prizes. The first prize in the raffle goes to players who have the exact raffle code and it is worth CHF250,000. The Super Star code features 5 digits – 2 letters placed at both ends of the code and 3 numbers in the middle. In the table below, you can see the full prize list for the Switzerland Super Star. The EuroMillions Plus is a raffle game available with the Ireland EuroMillions. The entry consists of the 5 main numbers chosen for the EuroMillions lottery, minus the Lucky Stars. To determine the raffle winners, 5 EuroMillions Plus numbers are drawn separately after the lottery draw in the EuroMillions. Please note that the 5 EuroMillions Plus numbers are different than the main numbers in the lottery. As for the raffle prizes, there are 3 categories. The first prize is a guaranteed €500,000 and it goes to players who match all 5 of the EuroMillions Plus numbers. This means that even if you don’t match any of the EuroMillions lottery numbers, you still have a chance to win with the same numbers if they match the Ireland EuroMillions Plus numbers. The second prize category is worth €2,000 and the third prize is €20. This EuroMillions raffle is organized as a special event in the game and it is available in all nine of the EuroMillions countries. It is the Superdraw of EuroMillions raffles and the prizes certainly are worthy of a lot of excitement. The European Millionaire Maker raffle offers as many as 25 prizes of €1 million. Only in the UK, the raffle prizes are worth £1 million. The entry code for the European Millionaire Maker raffle consists of 4 letters and 5 numbers. The first letter in the code is specific to the EuroMillions country the ticket is printed in. In the table below, you can see the assigned letters.